Speakers on the British Empire so often take a stance - either it a very good thing when the world map was largely pink, or a terrible time when indigenous people were subjugated. 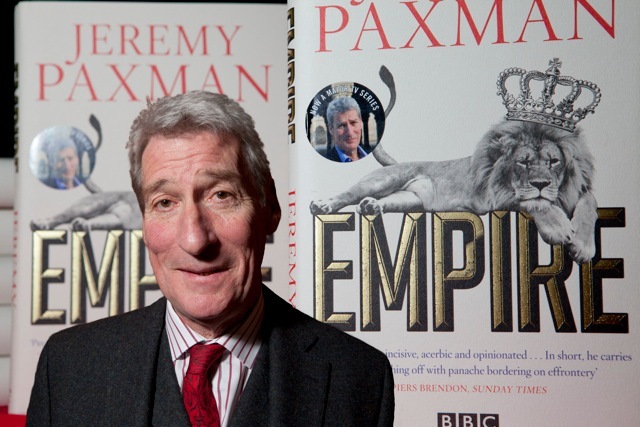 In his talk on February 3rd, Jeremy Paxman, the television broadcaster, gave an enviably balanced view of the imperial debate. He certainly held opinions but pointed out that it is not a simple question. He deplored atrocities like the slave trade, which he said were among the most disgraceful episodes in British history; and also castigated the British reprisals after the Indian Mutiny, as well as the Armritsar massacre and the appalling Kenyan prison camps - all part of Britsih imperial arrogance. He was also vitreolic about Clive of India, who he saw mainly as a fortune-hunter, who was scheming and devious in business, whilst he described Cecil Rhodes as "the most sabre-toothed of all empire-builders" and he thought Lotrd Kitchener was a monster. On the other hand, Jeremy pointed out some appalling acts carried out by colonised peoples, including the Black Hole of Calcutta - a small dungeon in Calcutta, where local troops held British prisoners in 1756 in conditions so cramped that many died frpom suffocation and heat exhaustion. Also, there was the regime of the self-proclaimed Mahdi, Mohammed Ahmed - General Gordon's nemesis in Sudan - which included institutionalised slavery, hand-loppings and floggings to death. Importantly, Jeremy told us there was an impressive side to colonialism - ordinary administrators, who have been ridiculted unjustly, but were fair and incorruptible. And unusual in the history of empires. he thought the British often questioned its morality and one such spasm ended in the abolition of slavery. The post-war transitions to self-government were, in the main, managed peacefully and - if local peoples had to live under an empire - then, he added, the British was better than many other possibilities. Over 140 people again filled the hall and the profit was the highly stimulating evening was £930.